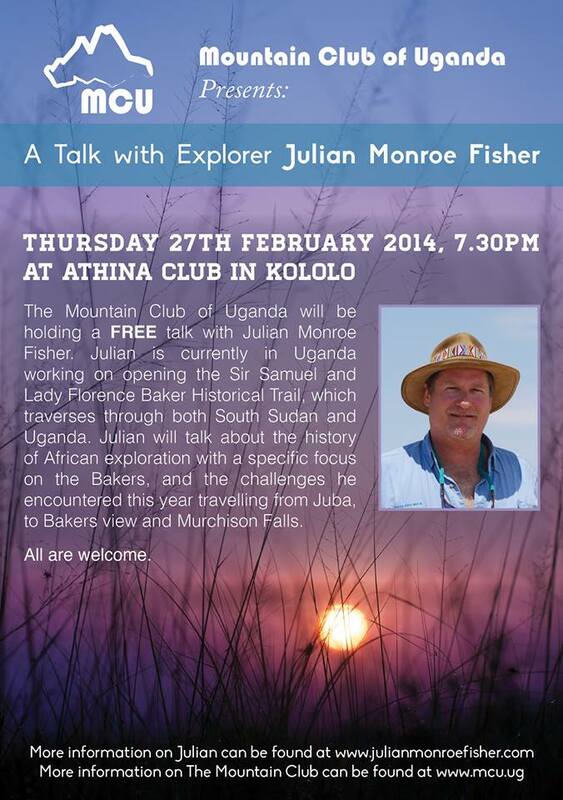 The Mountain Club of Uganda (MCU) are putting on a FREE talk by the world renowned adventurer, Julian Monroe Fisher. The talk will be at 7:30 in Athina Club in Kololo, Kampala. Please do share this event with friends and family.